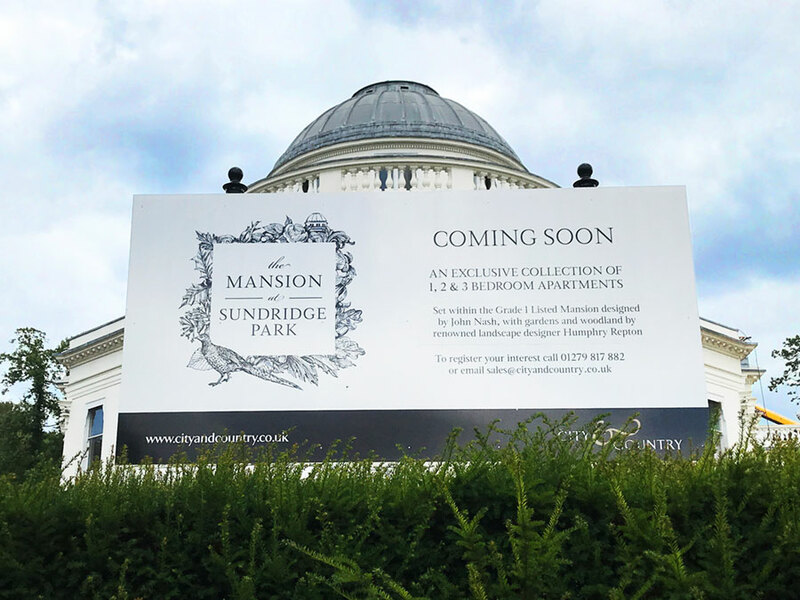 Anticipation is building ahead of the launch of City & Country’s Sundridge Park development in November. With GQ responsible for the overall marketing, Guy and Amy recently took a site tour to see exactly how things were coming along. 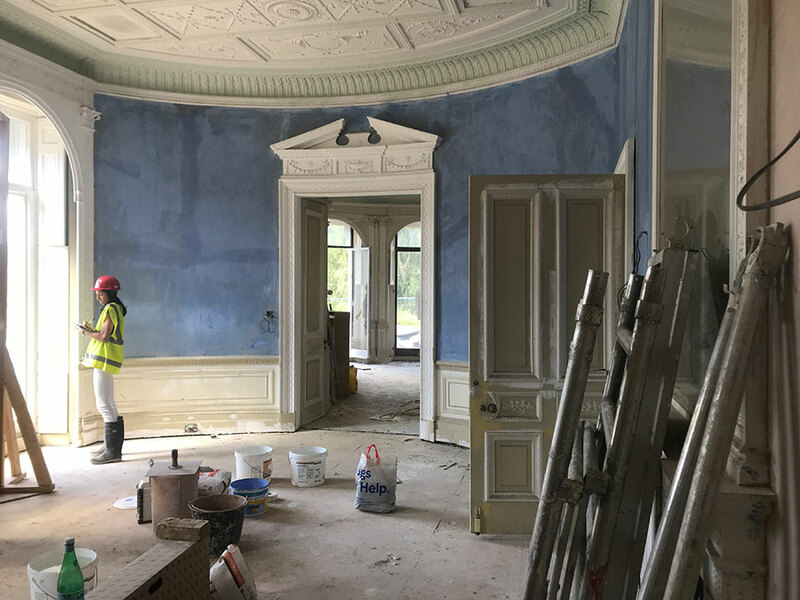 The Grade I listed mansion is being sensitively restored to create luxurious apartments with unique original features, beautifully placed within listed gardens and parkland. 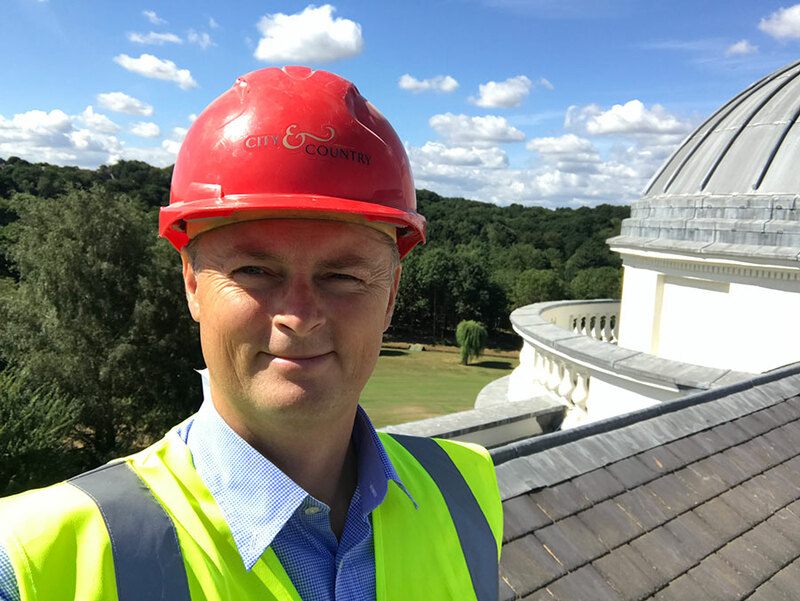 On this sunny summer morning, the dramatic house with its distinctive dome looked magnificent, offering impressive views over Sundridge Park golf course. Whilst the project is coming along well, it is a monumental task for City & Country, and there’s a lot going on! We can’t wait to see the undoubtedly spectacular finished product – in the meantime, GQ is finalising the brochure to ensure it reflects the exceptional nature of the development.